Southern California's premier party band playing all the hits from the 70s, 80s, 90s and today! Urban Soul can supply a complete service to your event including lighting, sound reinforcement, which can be scaled to any size venue. Urban Soul can also deliver DJ, Karaoke, and Master of Ceremonies services. 31111 Via Colinas #200, Westlake Village, Ca. Urban Soul returns to Westlake Brewery for the first time in 2019. Looking forward to seeing you all there! Omg, what a pleasure to be in the audience for your 4th of July show! I was dancing the whole time. You are all so wonderful. I felt like I was back in college at a concert, only this time I had front row seats. I really really enjoyed you all!!! Thank you. I look forward to next year's show. I can't wait to see you guys perform. You guys were great once again! We appreciate your time viewing our package and listening to our audio samples. 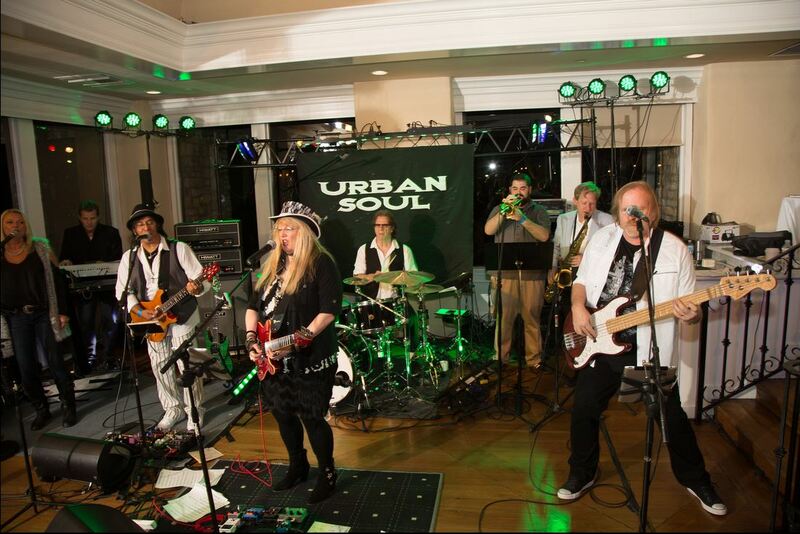 We look forward to hearing from you in the near future about booking Urban Soul for your event.